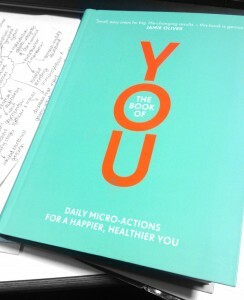 I hope that your happy places have helped you to feel less overwhelmed. It is amazing how simple little things can do the world of good when everything is getting on top of you, isn’t it? When life’s turmoils are giving me grief, I usually head straight for a bookshop. I especially love the Waterstones next to the UCL campus, which is spread out over several floors in a beautiful red-brick building. 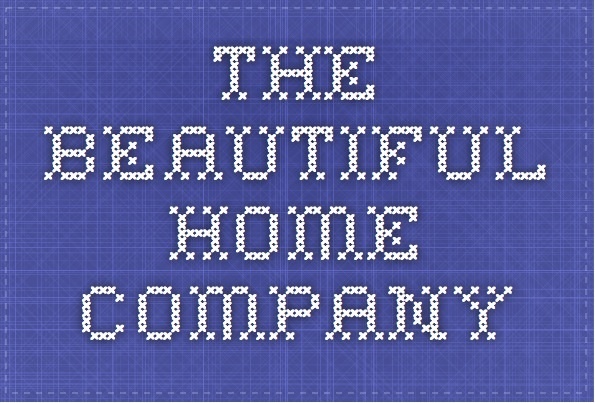 It has a great textiles section, just so you know! 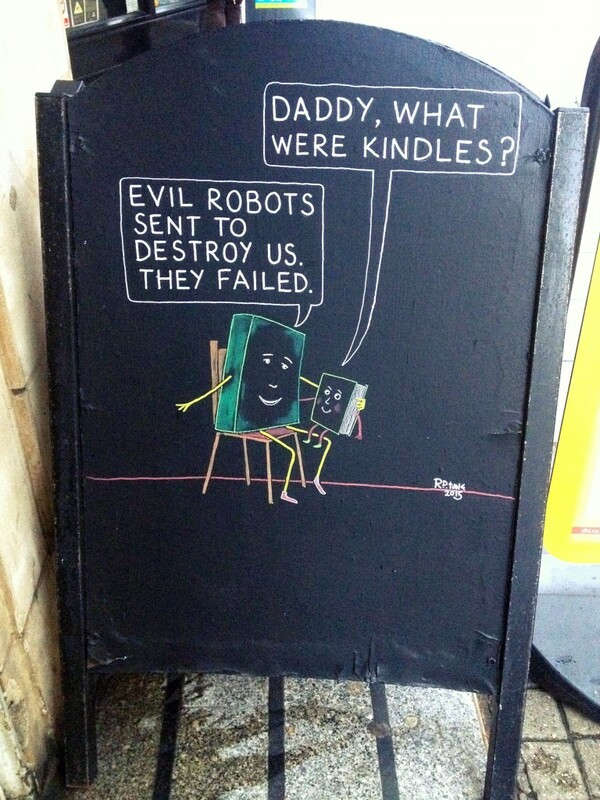 I enjoy looking out for the puns and not-s0-subtle “BUY OUR BOOKS” messages written on blackboards outside the entrance. Actually, I’ve recently found a new happy place, while looking into Javanese music for my ‘Around the World in 12 Months challenge’. I have now been twice to the London Symphony Orchestra’s community gamelan group, and I can’t tell you how much I am enjoying it. 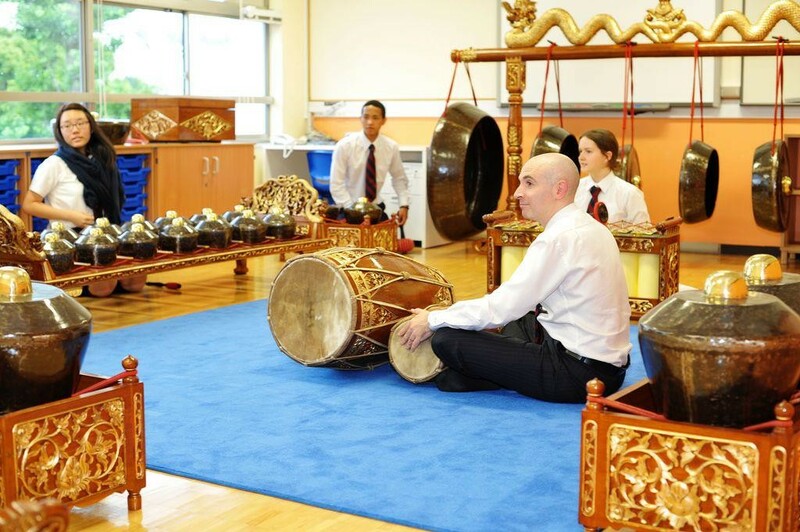 I first heard about gamelan in school, at a workshop put on for my class. I remember finding the parts of the gamelan so beautiful and intricate – I couldn’t believe that we were supposed to hit them in the name of music! 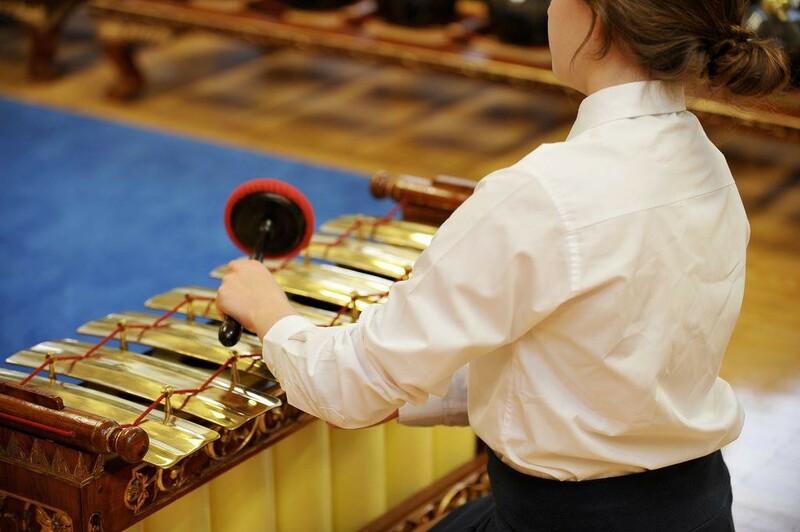 What I love about gamelan, is that you completely rely on your ears to keep in time to the rest of the group – in the group I’m currently part of, there is no conductor or sheet music to look at. You learn the part you’re playing through repetition and muscle memory, which is great for people who haven’t played an instrument before. It’s almost February now, which means that I’ll be moving on from Java, onto Finland (which seems more appropriate to the current weather). I have almost finished my chosen Javanese novel, so I’ll post a review of that in the next couple of days. Do let me know if you have any recommendations for recipes, books or cultural activities connected to Finland!